Stephen Hawking, the mega-genius physicist behind A Brief History of Time, a book that many own but few have probably ever read, died at home on March 14, 2018. Coincidentally (or not), the day of his passing also happened to be the birthday of fellow super-genius Albert Einstein, so it seems pretty clear that, even in death Hawking had things more figured out than the rest of us. But in addition to literally writing the book on time, the universe, and everything, Hawking's also done about a billion different super-smart things, and was responsible for bringing together a bunch of disparate scientific ideas and proving them by being, you know, way smarter than any of us. But here's our chance to pretend we're actual, real-life smart people, as we unveil the many sides of Stephen Hawking's life that many people may not know about. Before Stephen Hawking even started discovering the mind-bending science of reality, he was already defying it! See, when Hawking was only 21, he was diagnosed with Amyotrophic Lateral Sclerosis (better known as Lou Gehrig's disease), and doctors told he only had three years to live. Hawking, upon hearing the news, promptly took one look at Death and said, "oh dear, no thank you," and proceeded to live until the ripe old age of 76. The guy who was supposed to croak at 21 lived for another five decades, plus five years for fun. And look, you're probably not a mathematician, but even you can calculate that to be roughly a bunch more years than the doctors gave him. That probably made his regular doctor super-nervous when saying anything to the man during his annual physical. While the popular image of Stephen Hawking is "loner genius," he actually — statistically — got more action than most people did in high school. He was married twice and even had three children, proof that theoretical discussions on the true nature of the cosmos is the ultimate aphrodisiac. Also, it seems that at least one of his kids has gotten in on the family business of being super-smart and writing about science to help people understand it … well, sort of. 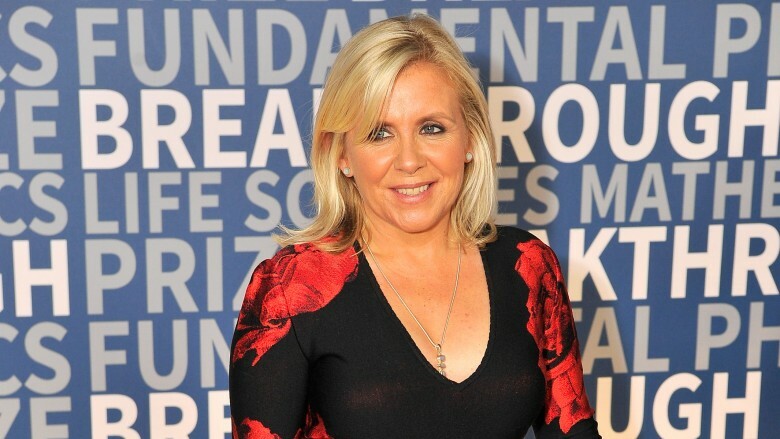 His daughter, Lucy Hawking, writes books with him, for young children interested in science! It's basically Not Star Wars, where the child actually joined the parent to rule the Universe together. Unfortunately, not everything was white-picket-fence-and-roses. See, while you might think being married to one of the most clever people on Earth is amazing, it's actually, well … pretty hard. Stephen Hawking's love life certainly wasn't pristine, as this entry's title more than indicates. His first wife didn't have to just raise her three children pretty much by herself, but she also had to help take care of Stephen. Remember how he was only supposed to live three years? Well, he beat that, but that doesn't mean it was easy — he had a long, rough go of it, with many operations, and through it all, taking care of him was Jane. 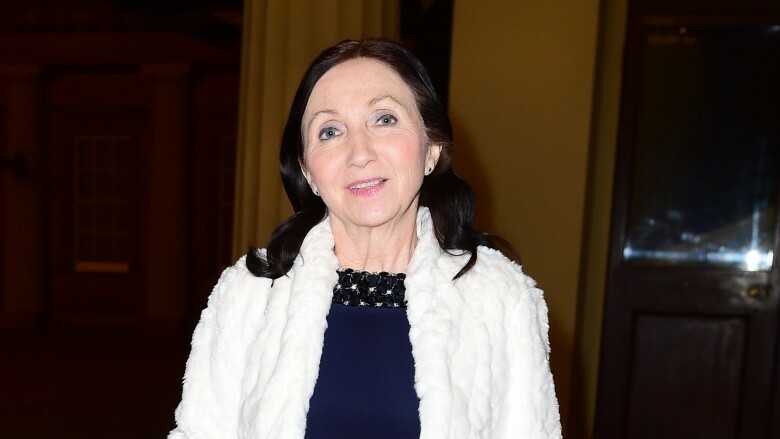 Jane recounted an anecdote to The Telegraph about the difficulty that fell on her when Stephen's physical illness worsened: "Stephen said to me early on: 'Where there is physical illness, you can't afford to have psychological illness as well,' and by extension I felt that should be my mantra too. But sometimes life was just so dreadful, so physically and mentally exhausting, that I wanted to throw myself in the river — although of course I stopped myself because of the children." Despite Jane's devotion, Stephen drifted even further away as he became more famous, until it felt like she and their children were nothing but footnotes in his life. What almost certainly made the whole thing even worse is that Hawking eventually left her for one of his nurses, whom he later married. Thankfully, Jane never actually followed through on her suicidal despair, but she does claim she still loves him. True love? Stockholm Syndrome? Who knows? Things apparently didn't get much better with his second wife, whom he also eventually divorced. At the time, his assistant even said that people asking him about the split was "annoying" and a "distraction." Ouch. You know how big-time celebrities like to go to hospitals dressed up as superheroes to cheer up children? It's a pretty neat thing for them to do. Well, Stephen Hawking, on many occasions, would take trips to meet with disabled children in hospitals, perhaps to show them that even if you're disabled, you can still make world-changing, monumental changes in the universe. Of course, meeting with children wasn't all he'd done to help other people with disabilities. He fought for the rights to assisted dying, raised money for charities, participated in the Ice Bucket Challenge (using his kids as stand-ins, like any good evil genius) and had even been involved in the Paralympics. Yet even with all of those effective and positive things he'd done, meeting with children in the hospital one seems to stand out. He was like a real-life, albeit immobile, superhero. Stephen Hawking, perhaps in an effort to prove that even nerds can be dorks, once said that he wishes he had Superman's powers … and that when he was younger, he had a crush on Lois Lane. To be honest, though, who doesn't? She's awesome. Specifically, he had a crush on Margot Kidder, who played Lois Lane in the Christopher Reeve movies, but still. Honestly? It's not hard to imagine Hawking as Superman. 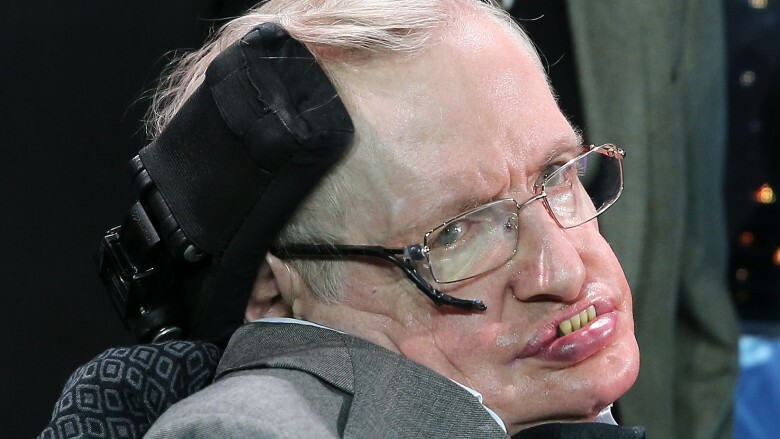 We're thinking Hawking could actually see through dimensions, and only said he'd be Superman to mess with the few of us who remember the previous Universe before the Great Upheaval. Stephen Hawking didn't just want to be any movie villain — he told Wired UK that he wanted to be a Bond villain (via Rolling Stone). And you know, when you think about it, this actually makes a lot of sense. He did fit the description of a Bond villain. 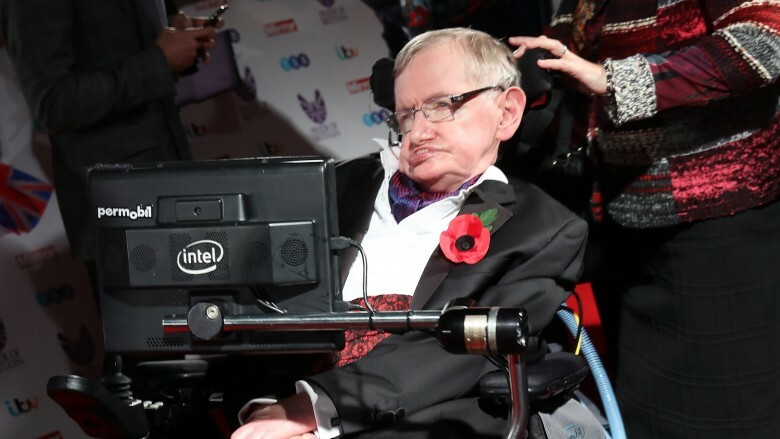 Hawking himself even said so, explaining, "My ideal role would be a baddie in a James Bond film … I think the wheelchair and the computer voice would fit the part." While he probably wasn't the first person you'd think of to show up opposite Daniel Craig, it's not like it was totally out of the question. Hawking had been on plenty of episodes of television before, so why not a Bond film? So you might be wondering how Stephen Hawking could communicate given that his illness prevented him from actually moving. Well as it turns out, you're wrong about that! He could move … his cheek muscle. That's right, he communicated by using his cheek muscle and an advanced communication technology called SwiftKey. Basically, there was a laser on his glasses scanning an alphabet of letters. When it would get to the one he wanted, he twitched his cheek muscle and it recognized that letter, then began again. Being able to make Hawking talk took a lot of different machines, which he talked about in a long blog entry called The Computer, which, to be honest, is about as dense as his books. Oh, and you know how he had a voice synthesizer? Well, the person who first invented that was Hawking's second wife's first husband. Yeah, the man invented what he uses to talk, and Hawking said thanks by stealing his wife. 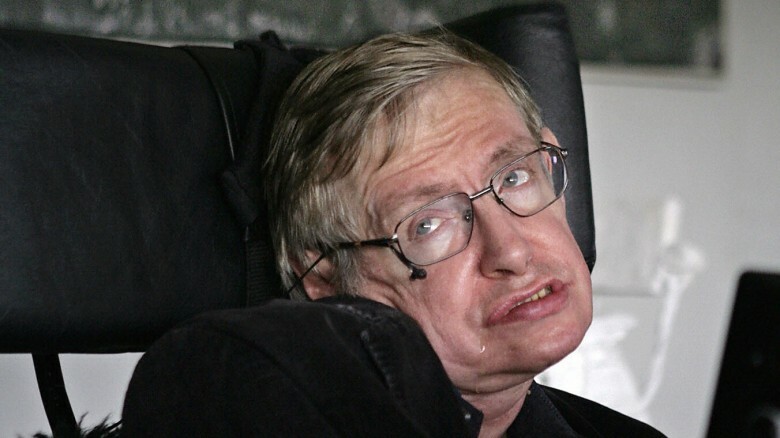 Stephen Hawking: genius, visionary, world-changer, cad. Being the smartest guy in the history of ever and not being able to move would make anybody a little weird. So it almost makes sense he would collaborate with one of the most psychedelic bands in the world, the pig-loving Pink Floyd. 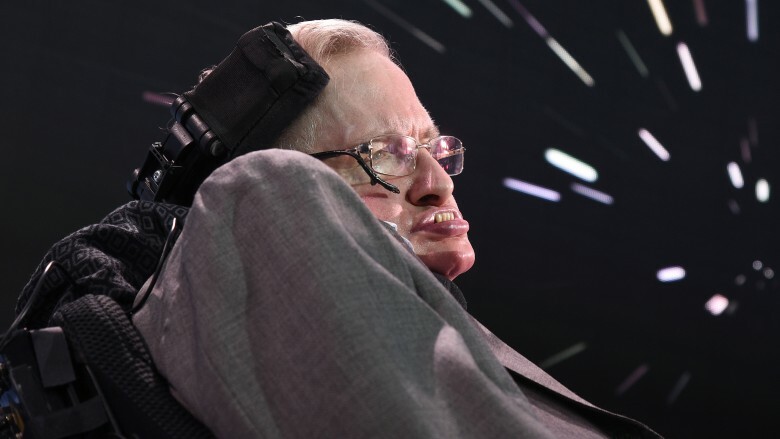 Yep, Stephen Hawking is in a Pink Floyd album — or rather, two. The last two albums that Pink Floyd put out — The Division Bell and Endless River — featured Stephen Hawking on there as … a singer? Kind of? Maybe like a talk-singer, or a really slow non-rhyming rapper? It still made more sense than whatever Syd Barrett put out. Stephen Hawking wasn't just a dude who tore holes in the Universe with his mind, or put his voice towards the best band in the world — he was also someone who really, really hated obesity. Given that he couldn't move at all, he didn't understand why so many perfectly mobile people are content to just never, ever move at all. He clearly didn't get that just because you can do something, doesn't mean it's fun. It's the fact that we can choose not to be useless lumps that makes being one so much fun. Hawking hated obesity so much, in fact, he even made a video against it, saying "Fortunately the solution is simple: More physical activity and change in diet … It's not rocket science." He might not have been able to run five miles (as opposed to the rest of us, who could but just don't want to), but he's sure got some solid jokes. Stephen Hawking was a genius scientist, so it makes sense that he believed in life beyond our planet, even if it isn't the kind Mulder always finds and gets pouty about. See, he wasn't not saying that aliens exist on Earth or that all those UFOs are actually alien ships. He was just saying that something's out there, and if we ever find aliens, we should hide. 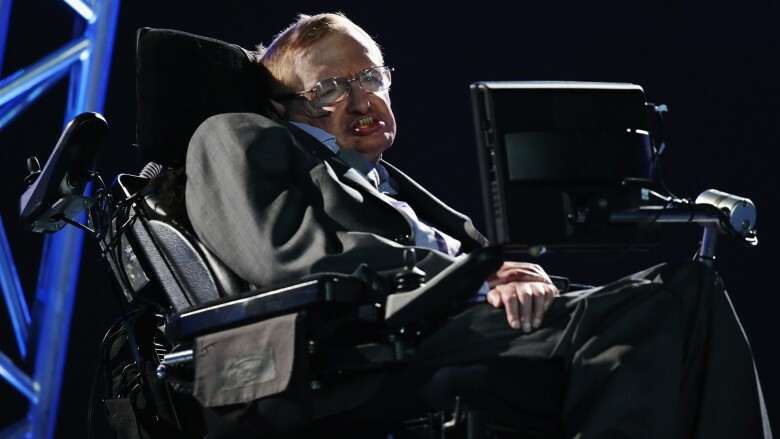 Hawking elaborated, saying that if we ever contacted aliens it'd go pretty bad for us. Think of any time conquering Europeans found a new continent said, "this is ours now." That's pretty bad, right? And if you don't like this analogy, here's some bad news: it isn't ours, but Hawking's own. He himself said, "If aliens visit us, the outcome would be much as when Columbus landed in America, which didn't turn out well for the Native Americans." 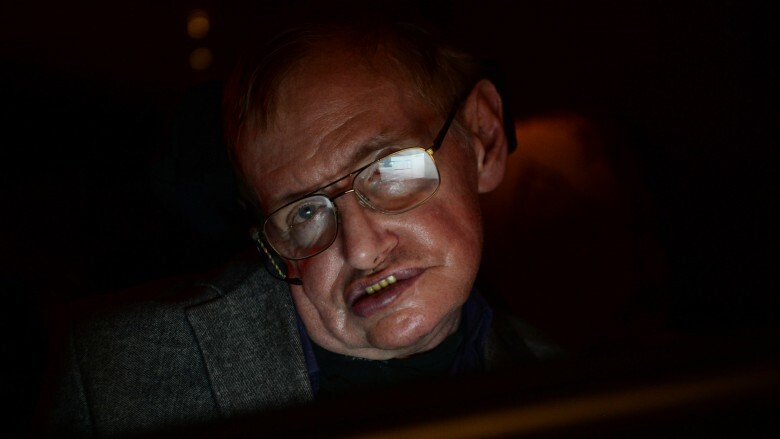 Basically, Hawking thought that, if aliens come to Earth, it'll be more Independence Day and less E.T. You probably never thought about it, but apparently Independence Day is one of the more realistic alien movies out there. Time to work on giving our future invaders a cold.